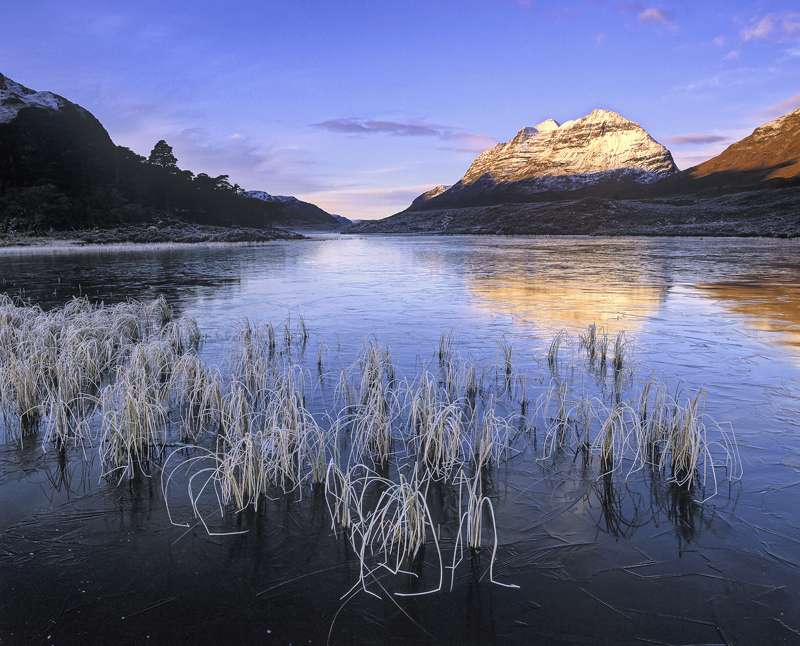 There is something just a little spooky and un-nerving about those sinister hoar frosted reeds stalking towards you out of the black frozen lochan. When I arrived first thing in the morning a half hour or so before sunrise those reeds were reflected in mirror smooth water but as the morning went by the ice spread across the surface and I swear they have clambered out and are standing on spindly legs in bare feet on the ice itself. Not exactly War of The Worlds but A Marshian invasion rather than a Martian one perhaps.